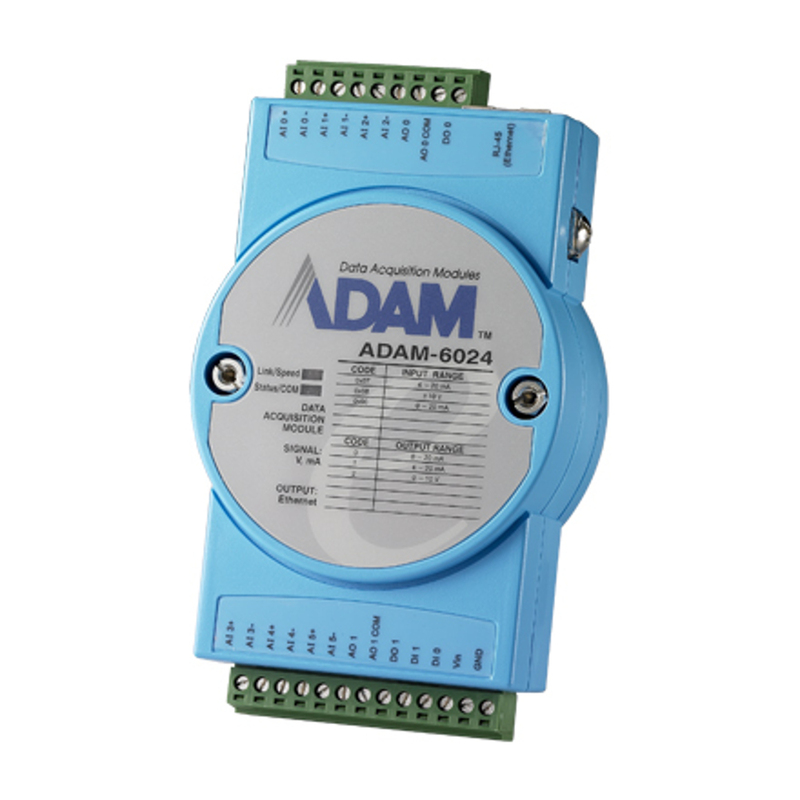 The ADAM-6024 is a universal I/O module for various signal applications. There are 6AI / 2AO / 2DI / 2DO included on this module. This module has a universal analog signal type, which makes it an excellent cost-effective I/O solution.